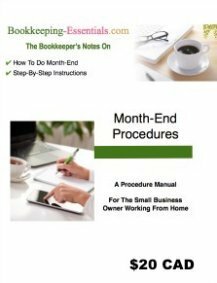 This article first appeared in the September 2013 issues of The Bookkeeper's Notes. I present here for your reference. The International Accounting Standards Board (IASB) issued a discussion paper in July titled, "A Review of the Conceptual Framework for Financial Reporting". It lead to a series of issues to be discussed from September to November, 2013. The first discussion / webinar (they were free to attend) looked at the definition of assets and liabilities. Here are my very brief notes. Please note, words in [brackets] are IASB's suggestions to revise the existing definitions. An asset is a [present economic] resource controlled by the entity as a result of past event from which future economic benefits are expected to flow to the entity. The asset is the resource NOT the ultimate future inflow. A liability is a present obligation of the entity [to transfer an economic resource] arising from [as a result of] past events, the settlement of which is expected to result in an outflow from the entity of resources embodying economic benefits. The liability is the obligation NOT the ultimate future outflow. An economic resource is a right or other source of value that is capable of producing economic benefits. These definitions report the substance of the contractual rights and obligations and existence of an executory contract. Suggested approaches where "existence" uncertainty is unclear is determined by IASB threshold in a particular Standard. Suggested approaches to "outcome" uncertainty is addressed by recognition criteria. Revenue recognition criteria was discussed in The Bookkeeper's Notes February 15, 2013 issue and is reprinted below for ease of reference. An entity should NOT recognize an asset or liability if recognizing it would provide users with information that is not sufficiently relevant to justify the cost or if no measurement would result in a faithful representation of the asset or liabiltiy, or of changes in the asset or liability. FASB - Financial Accounting Standards Board in the U.S.
My chat on Basic Accounting Concepts explains the role of IASB and FASB. The December 16, 2012 newsletter looked at the AICPA draft FRF for SMEs. In Canada, the equivalent framework is ASPE. If you missed it, please take time to read about these developments. I noticed in late 2012 / early 2013 that a lot of site queries were relating to ASPE standard revenue recognition criteria and principles ... so I thought I'd do a bit of research and this is what I came up with. The best article I found was by PwC (Price Waterhouse Cooper). They had a seminar on the topic and posted their slide presentation online. It gave an excellent overview of the differences / similarities between the three standards ... ASPE, US GAAP, and IFRS. The link above outlines/summarizes the basic criteria for ASPE and US GAAP, so click on it if you are interested in the subject. IFRS covers this topic in IAS18. The fundamentals are relatively consistent with the two standards above ...you just have more wiggle room for judgement as IFRS is substance based not rule based. As my newsletter and website is for small business, I'll only look at the fundamentals. If you have more complex reporting issues, you should be dealing with a certified accountant that has the training to interpret the guidelines / rules for you. FASB issued the final revenue recognition standard in June 2014. PwC laid out the following five IAS18 revenue criteria. I've inserted the ASPE (Section 3400 - Revenue) and US GAAP concepts in brackets. But before we get into that, I just want to remind you that revenue recognition standards require the use of accrual based accounting not cash basis accounting. 1. The Completed Contract Method recognizes revenue when the good or service has been sold/rendered and the contract is substantially complete. It is only appropriate to use this method for service when it is a single act or when there is no reasonable way to estimate the extent of progress towards completion. 2. The Percentage of Completion Method recognizes revenue proportionately with the degree of completion of the service/product. If you are responsible for providing the goods or services with the associated risks and rewards, you record gross revenues. If you are acting as an agent, you record net revenues. Under IFRS and ASPE, when there are multiple transactions such as in software development, break each component down into an individual component when recognizing revenue and record at FMV. Up front fees are generally deferred. US GAAP allocates non-software elements at FMV but software using the residual method. Recognize revenue when (or as) each performance obligation is satisfied. Visit the McGladrey website to read the entire article. Each step is studied in detail. If you are uncertain that you can collect an accounts receivable (i.e. you have recorded the revenue), treat the receivable as a bad debt expense NOT a reduction in revenue. Generally, bad debt expense should NOT be recorded in the same period as the revenue. Interest is recognized on a time-proportion basis. It is accrued if the interest has been earned but not yet received. Royalties are accrued based on the substance of the agreement. Dividends are recognized when the right to receive the payment is established. 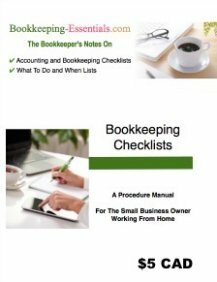 This just scratches the surface of a complex area but should be adequate for most small business owners and bookkeepers. The UFE Blog has two great study sheets you can download if you want a more in depth study of the matter. It's been great chatting with you .